The new movie from director Yorgos Lanthimos with 10 Oscar nominations. 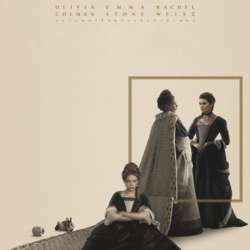 Stellar performance from the leading trio: Olivia Colman (Queen Anne), Rachel Weisz (Lady Sarah Churchill) and Emma Stone (servant Abigail Masham). We meet at Apfelweinwirtschaft *Proletariat 18:00* to socialize and 20:00 we go to the movie theater. The distance is Protected content , and the movie starts at *20:30*. Hope you like the movie and see you on Sunday.